At only 23 years old, Beatrice Rana is making waves on the international classical music scene, arousing admiration and interest from conductors, critics and audiences around the world. She collaborates regularly with conductors of the highest level such as Riccardo Chailly, Antonio Pappano, Yannick Nézet-Séguin, Fabio Luisi, James Conlon, Emmanuel Krivine, Osmo Vänska, Jun Märkl, Trevor Pinnock, Mirga Grazinyte-Tyla, Fabien Gabel, Lahav Shani, Andrés Orozco-Estrada, Susanna Mälkki, Leonard Slatkin and Zubin Mehta. Orchestral appearances include the Orchestra dell’Accademia Nazionale di Santa Cecilia, Orchestra del Maggio Musicale Fiorentino, RAI Torino, London Philharmonic Orchestra, City of Birmingham Symphony Orchestra, BBC Philharmonic, Melbourne Symphony, Orchestre National de France, Helsinki Philharmonic, Royal Flemish Philharmonic, Dresden Philharmonie, Philadelphia Orchestra, Los Angeles Philharmonic, Detroit Symphony and NHK Symphony. Ms. Rana performs at the world’s most esteemed concert halls and festivals including Vienna’s Konzerthaus and Musikverein, Zurich’s Tonhalle, London’s Wigmore Hall and Royal Festival Hall, Paris’s Théâtre des Champs-Elysées, Lucerne’s KKL, Berlin Konzerthaus, Cologne Philharmonie, Milan’s Teatro alla Scala and Società dei Concerti, Ferrara Musica, Verbier Festival, Klavier Festival Ruhr, Lugano Festival, La Roque d’Anthéron Festival, Montpellier Radio-France Festival, Lanaudière Festival, Vancouver Recital Society, San Francisco Performances, Atlanta’s Spivey Hall and Washington D.C.’s Kennedy Center and Wolf Trap. 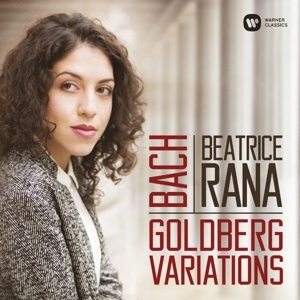 During the 2016/2017 season, Ms. Rana will embark on an international recital tour of Bach’s Goldberg Variations to Wigmore Hall, Théâtre des Champs-Elysées, Berlin Konzerthaus, Aix-en-Provence Festival, Ferrara Musica, Santa Cecilia di Roma and San Francisco Performances amongst others. Further recitals include Munich’s Herkulessaal, Milan, Rome, Tokyo’s Toppan Hall and the Tongyeong Festival in South Korea. She makes concerto appearances with Riccardo Chailly and Filarmonica della Scala, Fabio Luisi and NHK Symphony, Antonio Pappano and Orchestra dell’Accademia Nazionale di Santa Cecilia at the Lugano Festival, as well as RAI Torino, Orchestra Philharmonique de Monte-Carlo, Zurich Kammer Orchester at the Cologne Philharmonie and Luzern Sinfonieorchester at the KKL. An exclusive Warner Classics recording artist, Ms. Rana released her first album in Fall 2015 featuring Prokofiev’s Piano Concerto No. 2 and Tchaikovsky’s Piano Concerto No. 1 with Antonio Pappano and Orchestra dell’Accademia Nazionale di Santa Cecilia. The disc received unanimous international acclaim and was named Gramophone’s Editor’s Choice and BBC Magazine’s Recording of the Month. Beatrice Rana came to public attention in 2011 after winning First Prize and all special jury prizes at the Montreal International Competition. Her very promising career was brought to an even higher level in 2013 when she won the Silver Medal and the Audience Award at the 14th Van Cliburn International Piano Competition. In September 2015, she was named a BBC New Generation Artist, and in April 2016 she was awarded a fellowship from the Borletti-Buitoni Trust. Born in Italy into a family of musicians, Ms. Rana began her piano studies at the age of four and made her orchestral debut at the age of nine. She currently lives in Rome where she continues her studies with her lifetime mentor, Benedetto Lupo, and studied previously with Arie Vardi at the Hochschule für Musik in Hanover.